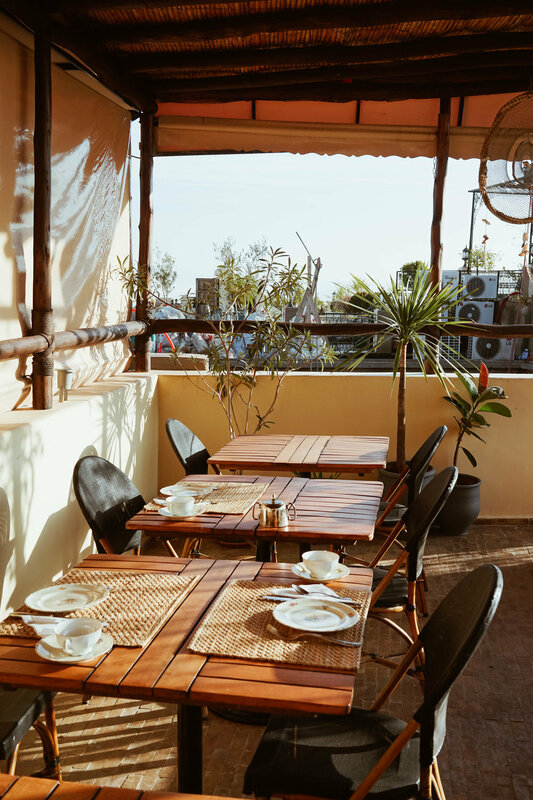 The Perfect Stay in the Heart of Fes, Morocco — monetsommers. I absolutely love Moroccan breakfast — sweet breads, fresh yogurts, fruit, olives, fresh eggs, and cheese. It’s such a variety of things and totally different than what I’m used to eating for breakfast. The staff remembered our drinks and special request by the second day, so each morning our made to order breakfast was ready for us when we woke-up. As always, when visiting a new place it’s so important for me to find a hotel or accommodation that embraces the culture and community of the destination I’m visiting. I love staying in a space that makes me feel like I’m getting a true cultural experience. This is why I very rarely, if ever, stay in chain hotels — it’s just not the same! Upon arrival at Riad Anata, we were greeted by the staff and they kindly offered us Moroccan mint tea and fresh cookies. They must have known the way to my heart — dessert and fresh mint. It’s nice to have a moment to simply relax upon arrival instead of rushing to get all your things in your room and unpack. I loved sipping the tea and having the opportunity to ask the staff about the city and area. After relaxing for a bit, we were shown our beautiful room. We stayed in the “Orange Room” and had two small beds, small seating area, and fairly large bathroom. Sadly the room didn’t have a lot of natural light coming in, but that did make for sleeping in easy. Our beds were super comfortable and my friend couldn't’ stop raving about how great the pillows were (she’s a pillow connoisseur). Which I have to agree — they were pretty fantastic. We each had our own bathrobe and had plenty of room to unpack our things in the room. Which says a lot about the room and storage, because two girls traveling from Germany to Morocco meant a lot of toiletries, clothes, and shoes. However, I felt like we had more than enough space to spread our things out and share the room comfortably. Breakfast each morning was served on the terrace. Unfortunately on our first two days the weather was pretty rainy and cloudy, but the terrace was covered and made for a nice spot. The last days we had sunshine and clear skies, so that made for a much better experience. The staff was extremely helpful in giving us directions around the city, telling us how to book different things, and even helped us hire a car for a long road trip to Chefchaeoun. I honestly felt really well taken care of by the staff and always felt like they had my best interest in mind. We even booked all of our transportation from the hotel and airport through the Riad and had a really great experience. Granted, you probably pay a little more for this, but I think it’s worth it when traveling to a foreign place simply for being so hassle free. 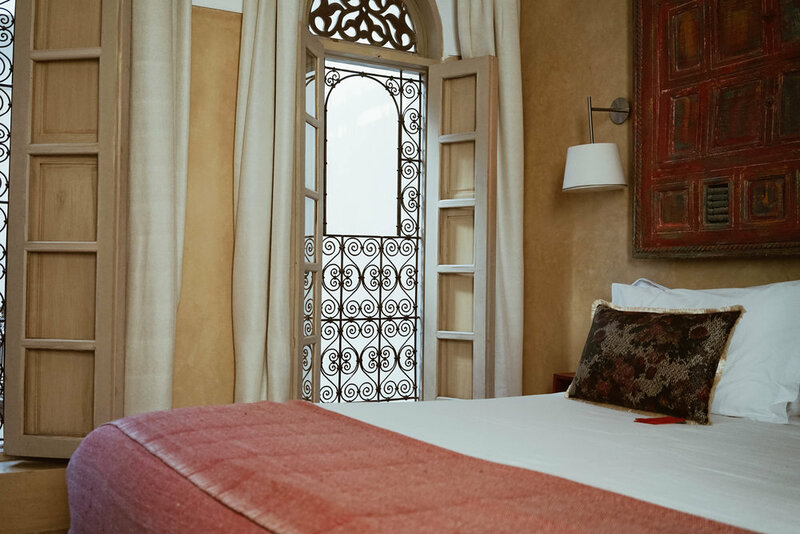 Riad Anata is definitely a small, boutique hotel (just 5 rooms). So if you’re looking for a more intimate Moroccan experience, I can highly recommend them. However, if you’d prefer a hotel with more amenities (gym, pool, sauna), then maybe check-out a different hotel in Fes. 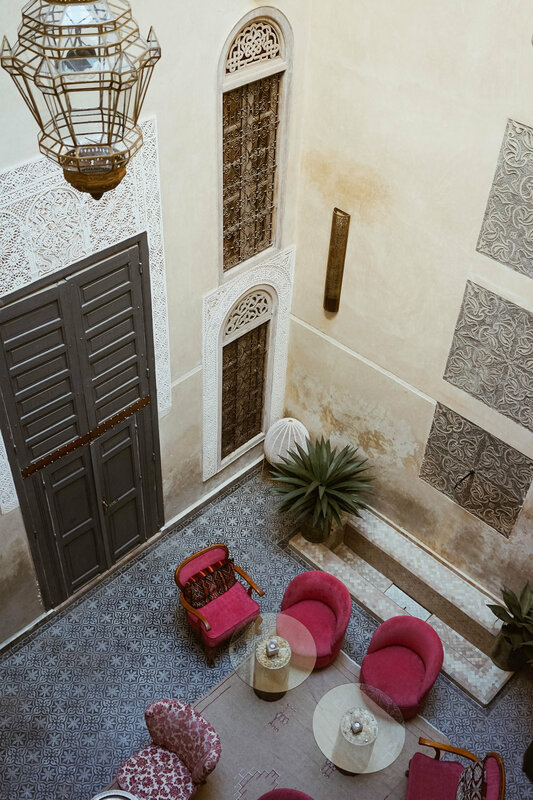 From my personal experience, when visiting Morocco, it’s much better to stay in an intimate Riad opposed to a chain hotel — I mean, where else do you get a beautiful space like this? Thank you Riad Anata & Valerie for hosting us in your beautiful space. It was an absolute pleasure.